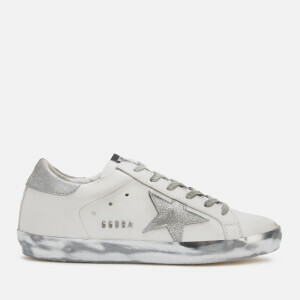 The Golden Goose Deluxe Brand 'Superstar' sneakers merge modern styling with a vintage aesthetic. 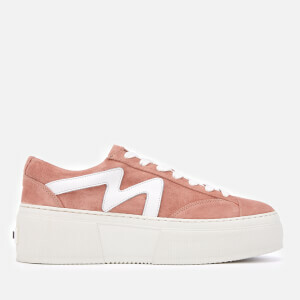 Smooth calf leather with nubuck panels form a sleek, low top profile while a deliberately distressed sole adds a worn appearance. 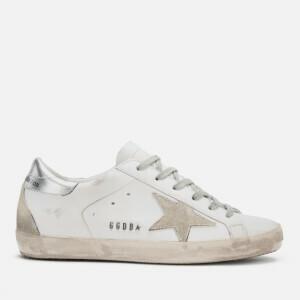 Designed with a rounded toe, distressed lace-up fastening and branded tongue. 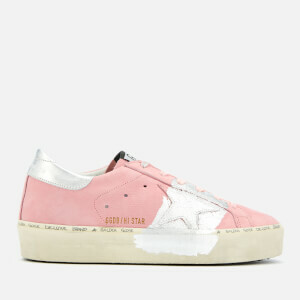 Finished with perforated eyelets for ventilation, a hand-decorated pink star in a felt marker-effect finish, and a padded collar with branded nubuck panel. 'Love Dealers' script to the outsole.